A title loan refers to a car title loan, an auto title loan or a pink slip loan. These are all alternate names for one type of loan that is growing in popularity for the flexibility and simplicity it offers. When people think about applying for a loan, they still commonly think about the loan market from many years ago when you were limited in the types of loans and lenders that were available. A bank was the most common lender and they had strict requirements and a complicated and long application and approval process. However, today’s market is significantly different. There are now many more lenders available and many of these offer short and hassle-free application processes that have become popular for their simplicity. Title loans are an example of simple and hassle-free personal loan solutions that are available for all applicants. Here we will look at how to get a title loan online. Title loans are an example of a personal loan solution that can be applied for online for extra convenience and flexibility. You can also apply over the phone by speaking to a financial expert if you prefer to complete the application with personal help; however, if you prefer a do-it-yourself method it is worthwhile to know how to get a title loan online. To apply online you will need to visit the company’s website. Here you will find a very simple form with only a couple of fields that you need to fill in. You will need to supply some personal details including your name, address and telephone number, as well as car details including your car’s make, model, year and mileage. Once you have submitted the information you will receive almost instant approval, as well as a preliminary loan offer that is calculated based on the information you provided about your car and its estimated value. There is no credit check required so no reason for the approval to be delayed. This also makes them available to applicants regardless of their credit score. With this approval, you are now able to complete the loan application and get your cash. With pre-approval already in your hands, you can go into the company offices to hand in your required paperwork and get your cash loan. The process is fast and simple and will involve you going over the contract, negotiating the conditions and signing the agreement. You will need to bring into the offices proof of identity, proof of residence, proof of income, car title and car insurance. Make sure that all your paperwork is valid in order to prevent delays. You may be able to get the cash in as little as an hour through this quick and simple process. 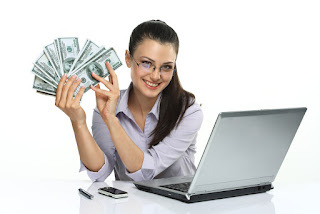 Knowing how to get a title loan online can speed up the time in which you can have a cash loan in your hands, making them an ideal solution for anyone who needs extra cash in a hurry.